The total fee for the one-year Diploma Course is N-- (please call). And this must be paid in full on admission. 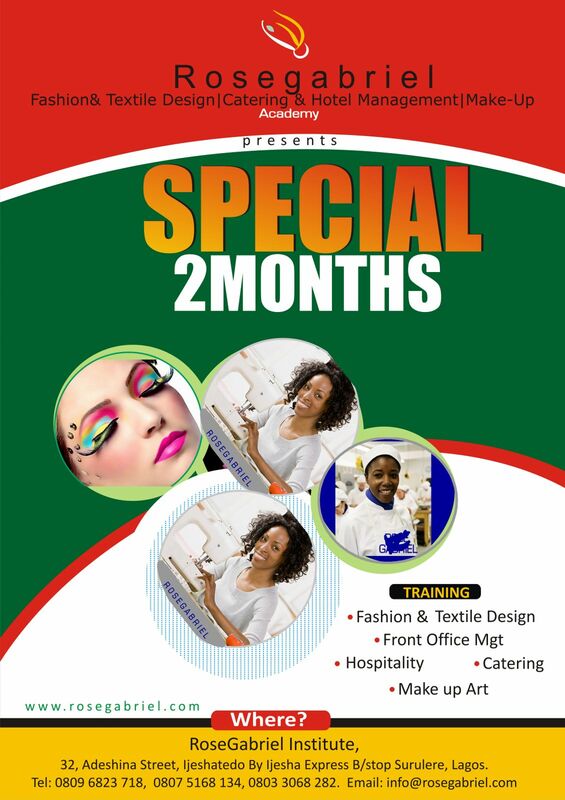 A special course on Hall Decoration attracts a fee of N-- (please call) payable on resumption. Examination: Students will have to pay an examination fee of N-- (please call) before being allowed to take the final examination. Note: Receipt of all fees must be kept carefully and presented whenever they are demanded of.